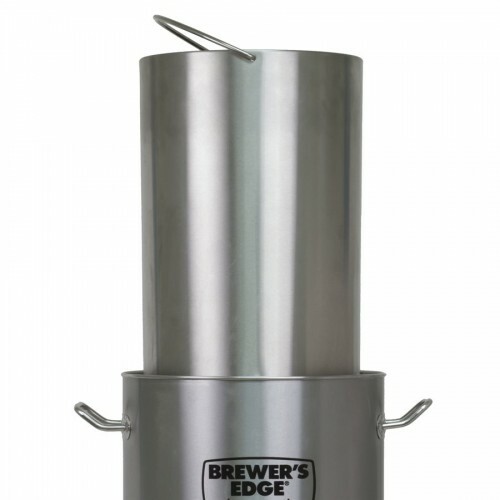 The Brewer’s Edge® Mash & Boil makes All Grain Brewing easy and affordable. No need for an outdoor burner, complicated brewing stand, or a 220 volt special circuit - it plugs into any 110 volt GFI household outlet. 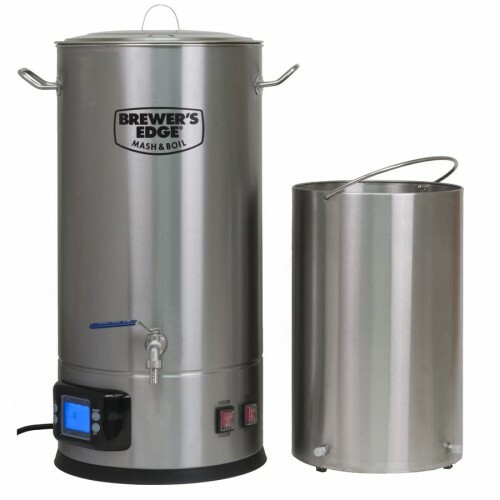 The Mash and Boil’s exclusive double wall stainless construction conserves heat to achieve a rolling boil with only 110 volts and 1600 watts, and its precise thermostat and internal sparging basket lets you mash and boil in the same vessel. 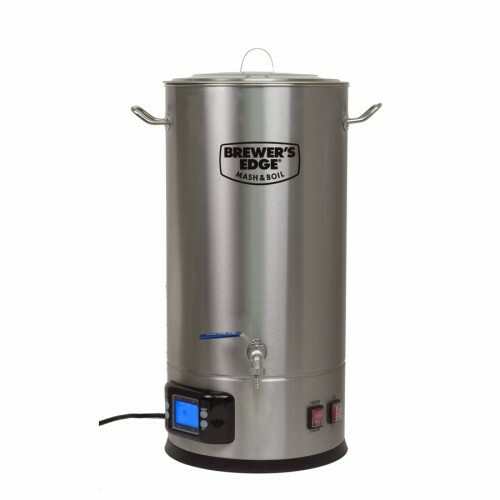 The Mash & Boil features an adjustable thermostat (switchable from Fahrenheit to Centigrade) with an adjustable run time preset at 3½ hours for safety. 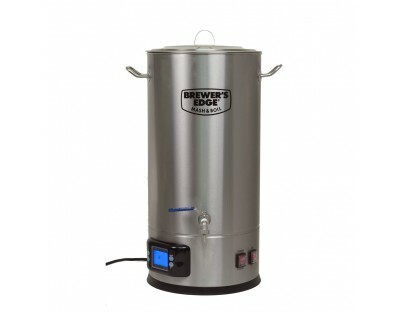 It also features a delayed start timer, so you can program the Mash and Boil to turn on up to 24 hours after setting. For example, load it with strike water, and have it set to be hot when you come home from work to save time. ​•·5' power cord is included.